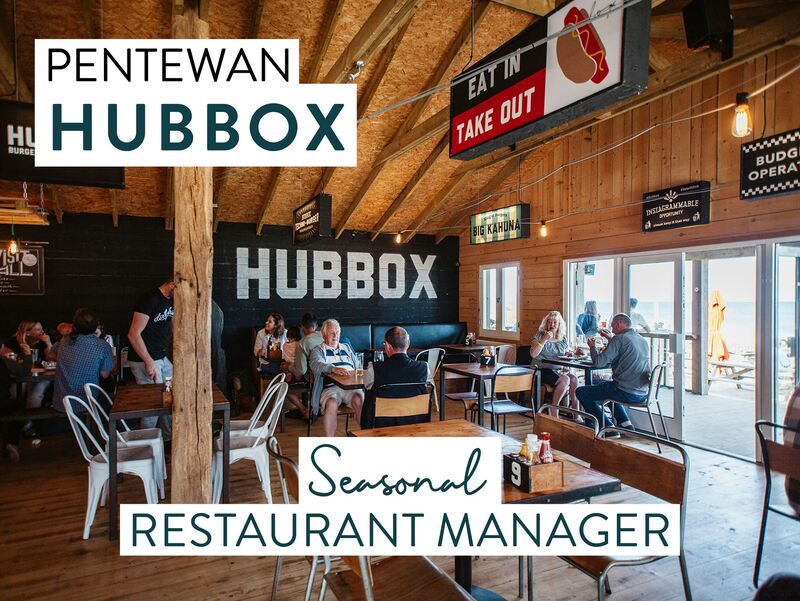 WE ARE LOOKING FOR A PASSIONATE RESTAURANT MANAGER WITH AN ENTREPRENEURIAL SPIRIT, PLENTY OF EXPERIENCE, ENERGY AND ENTHUSIASM TO HEAD UP HUBBOX ON PENTEWAN BEACH. Hubbox managers’ weeks are spent interacting with our customers, leading and coaching our front of house teams, liaising with the kitchen, and ensuring every dish on the menu has been properly and carefully prepared. We want our Managers to take complete charge of their P&L’s and we will support you achieve your Goals . In return of your hard work, we offer up to £28k p.a + achievable quarterly bonus as well as various staff perks, incentives and our Annual Beach Party.